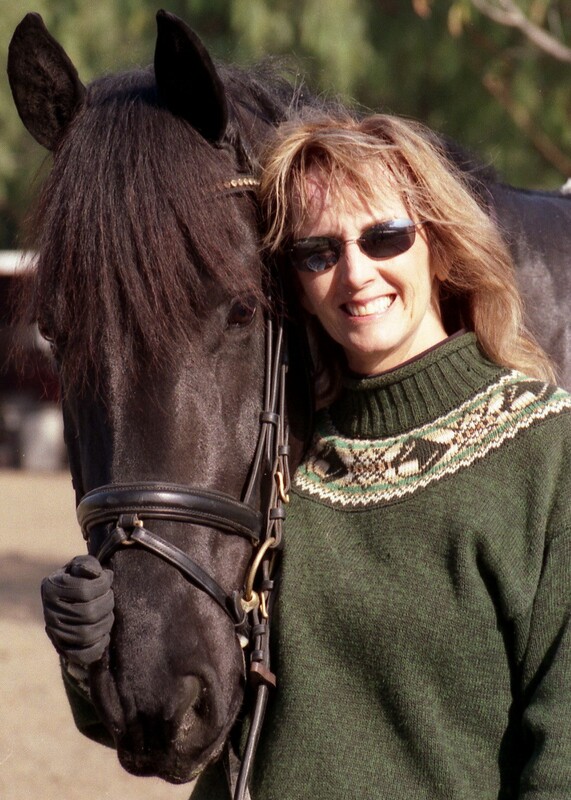 I’m so pleased to introduce my latest interviewee, Carol McKibben, author of Riding Through It, Luke’s Tale, and the newly released, Snow Blood. As an avid advocate for animals, and a special love for dogs, Carol’s latest books are written from the dog’s POV. Weaving tales of unconditional love, commitment, and the bonds that form our closest relationships, Carol reminds us of the valuable lessons we can all learn from the animals who share our lives. With 30+ years of experience in publishing, marketing, public relations, business management, education, and project management, Carol also brings a wealth of knowledge and experience to her writing. Join me in welcoming Carol McKibben! ­­­­­­­­­­­­­­­­­­­­­­Q: Who has been the greatest mentor in your life on a personal or business level and why? A: It’s impossible for me to just pick one. I’ve had so many. My daddy, brother and husband Mark have all had equal parts of encouraging me to be independent, strong and true to myself. But, three others particularly stick out in my mind. The first was G. Glenn Cliff. He was the editor of the Kentucky Historical Society and one of my early bosses. He encouraged my writing talent and pushed me to go back to college and complete my education. The second was another boss, a dean at Rollins College. He encouraged me to get my Master’s Degree. The third is my publisher, Stephanie at Troll River Publications. She has encouraged and supported my writing for years. The loveliest part of that relationship is that she also happens to be my daughter. And while we’re on that topic – she’s my harshest critic. So, when she finally likes something I write, I know I’m in good shape! Q: Dogs and humans have enjoyed a symbiotic relationship for eons, which is seldom replicated between other species. What would you say dogs and people give each other, and why has this bond held true for so long? A: The reason the bond has held true for so long is that dogs give humans unconditional love as only a dog can. No other human will love you, no matter your mood, your circumstances or the amount of attention you pay to them like dogs will. All dogs are descended from wolves. Man gave wolves food and warmth, and they evolved to be our companions and give us what we needed in return – unconditional love. Q: You obviously have an interest in the paranormal, as evidenced in your last book, Snow Blood, about a vampire dog. Have you ever experienced anything of a paranormal nature in your own life, and if so, what was it? My daughter has that same uncanny ability. Q: As a writer who has vast (30+) years of experience in publishing and editing, what advice would you give to new writers just starting out on this journey? A: Use your passion to fuel your writing. Write about things that you love. Write every day. Hemingway believed that the only way to become a great writer was to practice, practice, practice every day. The more you write, the better you become. And understand that if you want to get published, that the writing is just a quarter of the effort you’ll need to make. Getting the book published and then marketed will be the majority of your effort. Q: What has your writing journey taught you about yourself? A: Most of my career, I wrote non-fiction for business purposes. After finishing my memoir, Riding Through It, I approached writing a novel for the first time with a bit of fear. I knew that I had an active imagination, but I had never written pure fiction. To my amazement, my stories just seemed to pour out of me onto the keyboard. What has amazed me after almost three novels (Snow Blood Season 2 will be out this summer) is how my main character leads the way. William Faulkner said, “It almost always starts with a character. Once he stands up and starts to move, it’s all I can do to run along behind him jotting down everything that he says and does.” And this is so true for me. So, my writing journey has taught me to trust myself. Q: What would you say are your personal strengths and weaknesses, and why? Q: How have you used your strengths and weaknesses to good advantage in your writing? A: Organization, persistence and enjoying, no loving, what I do allow me the luxury of being creative and getting a lot written. Being selfish with my time means again that I get more done as a writer. Because I am sensitive to what others say about my writing, it makes me strive harder to be better. Q: What are your thoughts on traditional vs self-publishing in today’s writing landscape? A: I co-authored a business book back in 1996, and it was traditionally published (by a very well-known publishing house). I didn’t feel that the publisher did much to promote the book. My writing partner and I were the ones that went out and got all the sales. Then, I self-published Riding Through It. Again, I had to market and sell it myself, but I didn’t have to give up so much of the revenue like I did with a traditional publisher. (Minus distribution, printing, etc.) For Luke’s Tale and the Snow Blood Series, I am working with a boutique publishing house that really produces for its authors – marketing plans, actual marketing, covers, editorial support, etc. And, I feel like the commission TRP takes is fair for the work they do. Let’s face it, unless you are John Irving, Stephen King, or one of the big name authors, you won’t get that type of attention from a big publishing company. And now, there are lots of companies out there that will work with authors to self-publish. I think there’s room for both. Much of it depends upon whether you want to hold your new book in your hands in a short time span (self-publishing) or if you don’t mind going through a longer process (traditional publishing.) Then there’s the boutique publishing option, for which I’ve opted. Q: Writing and publishing take a great deal of time, more than most people can imagine, and tenacity. How do you structure your day to fit in everything you need to accomplish? I spend 25% of my day writing for myself, and another 25% marketing my books. I use a DayTimer, schedule my work by degree of importance, and work through it until everything gets done. Please keep in mind that I don’t work an 8-hour day! It’s more like 12-14 hours. Q: What would you say are the three most common mistakes new writers make when starting out? Lack of Editing. The best writers re-write and re-write. New writers tend to think that editing merely means a brief read through for typos and spelling errors. That’s the very last thing to do. New writers tend to want to submit a first draft if they have an editor. Don’t do it. Put it aside for a week, then go back to it and rewrite. The first draft of a story needs to be sharpened, reworded, and it needs a professional editor when you have given it your all. I usually am up to Draft 6 or 7 before it goes to my editor. Poor Dialogue Skills. Dialogue in fiction isn’t real but it must sound real. It has to be sharp. No long confessional speeches. Engage your characters with each other. Reveal plot through dialogue and action. Use it to provide essential information and above all to show character. It’s critical to “show” and not “tell” and the proper balance of dialogue and action does that. No attention to Language. Too many writers are so busy telling a story that they don’t choose their words carefully enough. Writing should always be clear. Use intriguing language in new ways. The wind doesn’t only blow, it whips, rips, roars … really wordsmith … go over your draft for that specific purpose. Other things newbies do are: include irrelevant detail; they rely on clichés and don’t use imagery; they don’t “set the stage” and leave out the details of the setting. They leave out taste, smell, etc. They also don’t have structure or know how to pace a story – when to give and when to withhold information, how to create tension, speed up or slow things down. This is all done by choosing the right words and the length of syllables. They sometimes shift point of view, without carefully introducing it. Finally, lack of technical knowledge (grammatical errors.) They need to learn the reasons behind the rules. Only when you know the rules can you break them! How do you learn them? By reading published fiction. Q: What has been your most difficult lesson to learn in life so far, and why? A: That everything changes. I tend to want to pre-plan and control my environment, my life, my situation. Change is inevitable. It always happens. Being the organizational, slightly OCD person that I am, it takes me a few minutes to warm up to changes! Q: Rescue dogs are a lot like foster children. They often come with a whole host of emotional and physical scars. What can people who are considering taking in a rescue dog (or any animal for that matter) do to help ensure their home is the best fit for themselves and the dog? A: I work with a great organization, LA Animal Rescue (LAAR). I suggest approaching a reputable rescue like LAAR and letting them work their magic. They take in to consideration your lifestyle, your living situation, your comfort levels and the needs of the dog. If you are a runner who wants a dog that you can take out on the trails, or a couch potato who wants a cuddle buddy, you need to be paired with the right dog. Organizations like LAAR put emotionally and physically scared dogs with fosters who will work to help them overcome their issues. They won’t pair a dog with issues to someone not willing or capable of working with them, and they never place a dangerous animal. Q: What’s next on your plate, Carol? A: I’m working with my editor to complete Snow Blood Season 2. I hope to have it out by this summer. (We’ve been editing since before Christmas, so you can see how important editing is to me!) After that, I plan to do the third installment in the Snow Blood Series. Then, I hope to write a novel based on quirky characters who love each other unconditionally. This is inspired by my author idol, John Irving. “I believe cats to be spirits come to earth,” wrote Jules Verne. 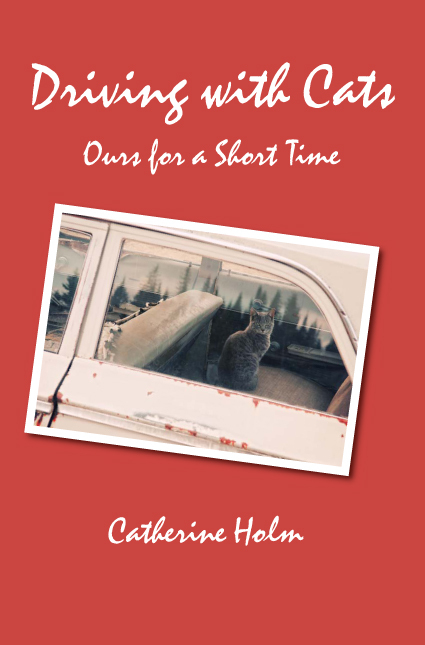 “A cat, I am sure, could walk on a cloud without coming through.” In her recently released memoir, Driving with Cats: Ours for a Short Time, author Catherine Holm offers a lovely and poignant collection of stories and lessons about journeying through life with feline companions. As any lover of cats might be inclined to agree, nine lives will never be quite enough to fully get acquainted. Q: For a sneak peek teaser, what is Driving with Cats: Ours for a Short Time all about? Driving with Cats is about the amazing things our companion animals teach us and bring to our lives. It is also a story about learning to move through the letting go process, and appreciating the gifts that this transition brings. Q: What was your inspiration to write this book? A: I wanted to write a memoir, but obviously, just focusing on “my life” seemed a bit huge, and not real compelling. I love cats and feel strongly about the human/animal-companion bond. When it occurred to me that I could write a memoir slanted through the bond I share with my cats, I got excited. Q: Did you start with a formal outline or did you make things up as you went along? Why did your chosen process work well for you? A: I tend not to outline. I wrote as I went, having no idea how it would turn out. Strangely, that seems to work best for me. Q: As a long-time dog lover, I’m curious: what is your personal connection to cats? A: I think this is a result, for me, of spending lots of time around cats. I love dogs too, but feel I understand cats better. I spend a lot of time observing my cats. We’ve always had more cats than dogs in my adult life, due to space and the layout of our household. I did start out as a dog lover when I was a child. I knew all the breeds, devoured dog fiction, and visited every dog I could on the way home from school. I still love dogs, and there are a few references to and mention of dogs in Driving with Cats. Q: Besides the obvious physical differences, what do you think differentiates cats from other animals insofar as being companions to humans? A: That’s a good question. I’m not sure I have an answer, or if there is an answer. I’ll just say that I think cats’ personalities are uncovered differently than dogs’. A cat may reveal herself more slowly, and more subtly, than a dog. It’s just the difference between the two animals. I don’t know enough about all other animals to compare them to cats. Q: What’s so special and significant about the death/dying/grieving process that you go through with your pets? A: For me, death has often been a tender and profound process. (This goes for the people in my life that have passed on, as well.) I think that if there’s time to say goodbye (such as in a hospice situation, or an instance where you know an animal will be terminal, but you’re providing palliative care and trying to make them as comfortable as possible), that some really deep and tender bonds can grow and become stronger. The goodbye experience, in these cases, has been as wonderful as it has been sad. The animals, it seems, have really gone above and beyond to say goodbye in the best way possible. Q: What can companion animals teach us about how to become better human beings? A: I think any of us who share a household with a companion animal will have an answer for this! To me, they teach us how to be better people. They teach us to love unconditionally, and to receive unconditional love. They teach us to live in the moment, because their lives are usually shorter than ours. They teach us responsibility. Learning that I could love completely and unconditionally was a big realization for me. Q: What do you believe is the strongest takeaway value from Driving with Cats: Ours for a Short Time? A: We only have the present (not the past, not the future), so get good at truly appreciating the present moment. This applies to loving your companion animal, or loving anyone. Also, there’s opportunity for love, and loving behavior, everywhere. Q: A former friend of mine once had no less than 22 cats in her household, many of whom were living long past their expiration dates. No matter their age or state of decline, she felt it would be too hard on her to ever have them put to sleep. Given that we are the stewards to domesticated animals, what is your response to a situation like this? A: I try not to judge without knowing all the variables. Of course, there are many cases where animals may live too long because the person can’t let go. There are also many cases where an animal may be put down too soon — for many reasons. I know of a woman who has (I think) 19 cats, but she has the resources to care for them well. I don’t. I’m stretched at five or six at most. Putting an animal to sleep can be a very difficult decision. On the other hand, it may be the better solution than a painful death. On the other hand, I have had animals die peacefully, on their own, at home. Every situation is going to be a little different. When I’ve had to take an animal in to be put down, the anticipation and dread has been worse than the actual experience. The actual experience, in my case, has been positive and peaceful. Q: Describe your work space…and are cats involved? A: Sometimes I work in the house, but I usually end up distracted by the cats, who love to lay over whatever I’m doing. I do have a separate small office building next to our house, that we put up ourselves. It provides distraction-free space. Sometimes I will bring a cat out, but haven’t done this for a while. Jamie (the 21-year-old who frames the story in Driving with Cats) absolutely loved being taken to the office and spending time with me there. It was one of his favorite pleasures. Q: How do you shape your life to facilitate writing? A: What works best for me is to write first thing in the morning. My mind seems more amenable to creative writing at this time. I try to not let other life factors press in until I do the writing (such as promotion, social media promotion, and the freelancing I do from home). I try to make my life as flexible as possible so that the writing gets done. Q: Tell us about the decision process that went into finding a publisher. A: It was really pretty simple and fairly fast. I approached my first publisher, but they were not interested in a cat-themed memoir. Then, I sent it to a bunch of agents, got rejections, and some encouragement. I sent it to a midsized press, who also rejected it with some encouragement. I sent it to a regional small press, who asked me to contribute funds to publish it (I didn’t want to go that route). Then, I sent it to North Star Press, another regional small press. They got back to me very quickly, saying that they wanted to publish Driving with Cats. Q: What did you learn about publishing that you didn’t know when you first started? A: This is my second book. I tend to really throw myself into things. My first book taught me what hard work promotion is. It is continuous. My second book, hopefully, is helping me refine the process more and make better decisions about which opportunities to go after, and which to not pursue. I’m learning that a published writer must work hard at promotion, but also not let the promotion consume the creation of new writing. It’s a tricky balance. Q: You also write cat fantasy fiction under the name of Ann Catanzaro. What prompted you to go with a pseudonym and how did you go about choosing this particular one? A: The cat fantasy fiction is self published and I wanted to distinguish between these self-published chapbooks and my traditionally published work. Both names are family names and names I like — of course, I also like the “Cat” in Catanzaro! Q: What’s your best advice to someone who comes to you and says, “I want to become an author”? A: Develop a sustained practice of writing and reading. Think long term. Getting better as a writer takes time. Be prepared for the difference between “writer” and “author,” though it may not really be possible to understand this until you step into the author role. (I blog about this here.) Read Stephen King’s On Writing — I found it really inspired and resonated with me. Q: What would fans be most surprised to learn about you? A: I’m not sure…I have done a lot of different things. I taught voice and piano, I teach yoga now. I love to travel, I love wilderness camping. I’m generally pretty calm, or I try to be. I’m pretty passionate, but that’s probably not a surprise. I think what may surprise people most about me is an inner strength that is not immediately apparent. I’m pretty quiet unless I need not to be. A: I’m in the middle of a novel about a mother/daughter relationship. I have also outlined and am ready to write another cat-themed memoir. A: My website is http://www.catherineholm.com and it also links to my facebook page and my LinkedIn page. I blog occasionally on my website (mostly announcements and that type of thing). I blog quite a bit at http://www.catster.com— one of my freelance jobs. Read any of my writing — I’m really pretty transparent! It’s a quote that anyone who has ever been rescued by a dog can relate to, for who but a dog can find complete contentment curled up by your side, greet you enthusiastically even if you’ve only left the room for five minutes, and gaze at you through old-soul eyes as if you were the center of the universe. Whether your canine companion is big, little, young or old, Carol McKibben’s new book, Luke’s Tale, is a heart-tugging reminder that our four-legged best friends often know us better – and love us even more – than anyone else can begin to imagine. Q: Tell us about your new book and what inspired you to write it. A: Luke’s Tale follows the obstacle-riddled journey of a couple’s search for unconditional love, told from the point-of-view of their blind dog, Luke. The novel was inspired by two things. The first was my blind dog Luke who was such an inspiration for me. As he spiraled into blindness, he was my constant companion. He was fearless. He had always been my barn dog before he went blind. After Progressive Retinal Atrophy took his sight, he continued to go to the barn with me every day, and, stuck to me like Velcro everywhere I went. He was never afraid to go somewhere on his own, feeling gently with his front paws as he went along. It was his loyalty and love for me that made him so courageous. Secondly, I truly believe that couples today give up on their relationships because they place unrealistic “conditions” on each other. But, no matter if you are sick, tired, unemployed, had a bad day or are even angry, your dog will love you. That is why I made Luke, the Dog, the narrator of this story. I want people to see what it means to stick by those they love, no matter how bad it gets. There are dog owners who would have “put Luke down” because of his blindness. It never crossed my mind. Our love was without conditions. Life is full of ups and downs, and it’s important for people to understand how to ride through the ‘downs’ and why not placing our own expectations on others will strengthen any relationship. This may seem ‘too out there,’ but this message came to me in a dream. That and my blind dog, Luke, were the inspiration for this novel. So, perhaps angels inspired my story? I know that Luke was an angel here on earth, and maybe angels brought the idea to me in my dreams! Q: Your dog, Luke, is the narrator of the story. What governed the decision to deliver your message via his unique canine perspective? A: First of all, a dog is the only creature on this earth that loves unconditionally. You can be in a bad mood, sick, speak to him harshly, ignore him, have pimples all over your face, and he will still lick your hand, sit by your side and love you, no matter what. I needed the representative of true, unconditional love to guide the story. I am heavily involved in fostering rescued dogs that have been abandoned and mistreated by their human owners. I have seen the compassion that those in dog rescue offer their canine friends. With this story, I wanted the dog to be the one to rescue his humans and save them for a better life. It just felt like something a dog would do, if he could, especially my real-life Luke. Q: Have dogs always been a part of your life? Tell us about some of your favorites (including Luke, of course). A: Yes, I’ve always had dogs since childhood. As I stated earlier, my husband Mark and I foster rescued dogs and help them find forever homes. We currently have two dogs of our own, Neo, a 113-lb. Labradoodle, and Binks (a rescue and black Lab with a heart condition.) Our current foster is Blanca, an Australian Cattle Dog, but we’ve had many fosters – from Beagles to Huskies to Pit Bulls. Luke was a certified therapy dog, both before and after his blindness. He also played Annie Potts’ dog, Scout, on the Lifetime Series, Any Day Now for three years. He was my constant companion. Luke was one of a litter of 10 born in our bedroom to our black Lab, Leia. We kept three of the pups, along with Leia and dad, Darth. So, we had Darth, Leia, Luke, Yoda and Obe wan Knobe (Tipper for short). Our current Labradoodle, Neo, is a therapy dog, and Binks, who wasn’t supposed to live past four years of age, is now six and knows how to regulate his exercise to contain his heart problem, along with regular meds. Yes, dogs are a huge part of my life, as well as horses. Q: Why do dogs make such good listeners? A: They aren’t judgmental. They don’t interrupt! They love you no matter what you say. Q: On a regular basis, the media brings us no shortage of stories about animal abuse and cruelty. Do you see a correlation that people who can harm, abandon and torture defenseless creatures for no reason have just as little empathy for human life? A: People who can harm and torture defenseless creatures are sociopaths. They have no conscience, no sense of right and wrong, no remorse, shame or guilt when it comes to their actions. What they do is all about them, and this extends to their interaction with human beings. Many a sociopath started out as children capable of unspeakable cruelty to animals and extended it to humans. So yes, there is a correlation. I have yet to understand people who abandon their pets. And, there are so many animals that have been pushed aside for reasons that I don’t understand. One woman told us she just didn’t “have time” to take care of her dog. It was a case of “you take him or he goes to the shelter.” I have very low regard for this type of person. Q: Coupled with a growing trend toward no-kill shelters and behavioral training to make stray animals more adoptable, there are numerous rescue missions both here and abroad (particularly in Afghanistan) to find homes for dogs that would otherwise be put to death. Please share your thoughts on why rescue and adoption are such vital issues. A: I am involved in a rescue that has brought animals from abroad here to find them homes. Rescues are the only hope for abandoned and abused animals. I have never met more caring people than those who tirelessly devote their lives to helping those who can’t speak for themselves. There is a movement for pet stores to start offering rescues for adoption instead of buying from breeders and puppy mills. I know of several stores in the L.A. area who are displaying rescues in their stores and working with rescue operations to host adoption events for animals needing forever homes. Because there are countless numbers of animals that are abused and abandoned, it is vital that we trend in this direction. Q: As humans, we are constantly placing conditions and behavioral expectations on our partners, our children and our peers as “proof” of their love and loyalty; i.e., “If you really cared, you’d do such-and-such for me.” Dogs are completely opposite to us in this regard, steadfast as our best friends even on the occasions when we have been neglectful of their own needs. In your opinion, what are animals – and especially dogs – trying to teach us about the importance of unconditional love? A: Wow, that’s such a great question. I think dogs show us by example, don’t you? Their entire being is waiting for us, loving us, being our best friends. What better way than to lead by example? I once heard a story about a little boy who, with his parents, watched his beloved dog pass away at the vet’s. The father posed the question, “Why is it that our dogs live such short lives compared to human life?” The little boy piped up with, “I know why!” The mother, father and vet looked at him simultaneously with “Why?” The little one smiled as he petted his dog’s head, “Because humans come into this world not knowing how to love, but dogs are born knowing how.” Out of the mouths of babes. Q: When a couple’s relationship is in trouble, there is often a tendency to shut down communications as either a defense mechanism to safeguard anxieties or to avoid overwhelming the partner with problems s/he can’t possibly resolve. Why are these actions harmful to the health and longevity of the relationship? A: Open communication is the key to a successful relationship. It’s often what is not said, what is withheld, that creates problems in a relationship. Withholding information can be viewed as dishonesty by the partner who is shut out. It also allows the person being shut out to feel disrespected. This, in turn, creates mistrust. There is no real love without honesty, trust and respect. There’s another factor at work here. Oftentimes, women just want to be heard…they want their partners to just listen to them. Adversely, men just want to “fix the problem.” That, too, can create issues. Q: “The best thing about the future,” wrote Abraham Lincoln, “is that it comes one day at a time.” Too many people, however, sabotage that future – as well as their present – by obsessing about all of the mistakes they’ve made in the past. How does one get past the fears that are preventing them from “living in the moment” and moving forward, day by day, in a positive manner? A: I call this self-victimization and have a 7-step method: 1) Decide that you are a worthy human being. Those who live in the past are still hiding behind past events and think they aren’t worthy of better than they have. 2) Surround yourself with winners, not losers. Associate with those who make you feel positive about yourself, who help you believe that you “can if you think you can!” 3) Don’t let others rule your destiny. Take control of your life. 4) Label yourself as STRONG, not weak. Believe in that strength. Know that you can do anything you set your heart and mind to do. 5) Take responsibility for your past and current mistakes, and then leave them behind you. Don’t blame anyone else for your past…it’s all you, baby. 6) Stop living in a “poor little me” pity party. Get out of the doldrums and focus on what you want out of life. 7) Stop always choosing the “easy way out” of things. The easy road is rarely the right road. The bottom line? It’s all about attitude. You may not change the situation, but you can change your attitude about any and everything. Q: When something good happens, a person is likely to take all of the credit for it; i.e., “I got an A on my math test.” Conversely, blame is usually placed on another party when the outcome is negative; i.e., “It’s all George Bush’s fault.” Why – and how – is it easier for people to make themselves victims rather than assuming personal responsibility for their actions and taking control of their lives? A: It’s always easy to play the victim, blame everyone else and never take responsibility for one’s actions. We all have blame moments. But, if we go back to my theme of unconditional love, isn’t it important for us to see the soul inside even the worst of us? And, isn’t it important for each of us, in our individual blame moments, to dig deep inside and take responsibility for our words and actions? If others didn’t place conditions on us in those moments, we might feel freer to take responsibility for past, present and future. Think about how that might work. Q: Whether it’s a product of technology, insularity, impatience or perceived entitlement, respect for the opinions and property of others seems to be radically falling by the wayside, especially with the younger generation. What are some of the traits of a respectful person and how can those traits lead to success? A: Trait #1: They’re honest. They don’t lie. People can depend upon them. Think of the heroes we admire in books, movies and real life. Don’t they act with honesty and integrity? Aren’t they generous with others? Doesn’t everyone look up to them? Trait #2: They don’t lose their tempers, scream, yell or strike out against others when things don’t go their way. In other words, they rarely lose control. When negative things happen to them, they remain positive. They treat people as they would like to be treated. Trait #3: They are tenacious. They don’t give up easily. They become resourceful when the going gets rough. They totally get that they can’t change other people or the circumstances, but they can change their attitudes about situations. Trait #4: They admit when they’re wrong. Instead of sticking to their guns (no matter what) just to be “right,” they fess up to their mistakes, particularly when it lets another person “off the hook” or eases a situation. Trait #6: They have their priorities straight. They put what is truly important, what will really help others or a situation, above their own needs. Trait #7: They have an inner sense of right and wrong. They innately know the right thing to do, and they understand clearly when an injustice is being served. Trait #8: They tend to be role models for other people. Others admire and looked up to them. Trait #10: They have high self-esteem. They believe they deserve success and know they can do anything they go after. They know that a mistake is something that they do and not who they are. They also keep a positive self-image because they know that self-esteem is a state of mind that they have chosen. Trait #11 – They are loyal, even when it’s tough to do so. They stand behind those with whom they have forged relationships and don’t betray them. If a person has all these traits, how will that help him be successful? Isn’t it obvious? These are the qualities of highly-successful people in our society-I’m talking Bill Gates; Oprah; Warren Buffet; George Washington; Abraham Lincoln and the like. It isn’t a coincidence that both highly-respected and highly-successful people possess these traits. A: I am working on an episodic series for Troll River Publications to be published online in installments. Its working title is Snow Blood. I don’t want to say much more than the story is told through the eyes of a vampire dog…do you see a pattern here? Q: Anything else you’d like readers to know about you or your book? A: I want people to see what it means to stick by those they love, no matter how bad it gets. People need to learn to ride through the ups and downs of life and how not placing our own expectations on others will strengthen any relationship. I mean, honestly, if a dog can love us unconditionally, why can’t we love each other in the same way? 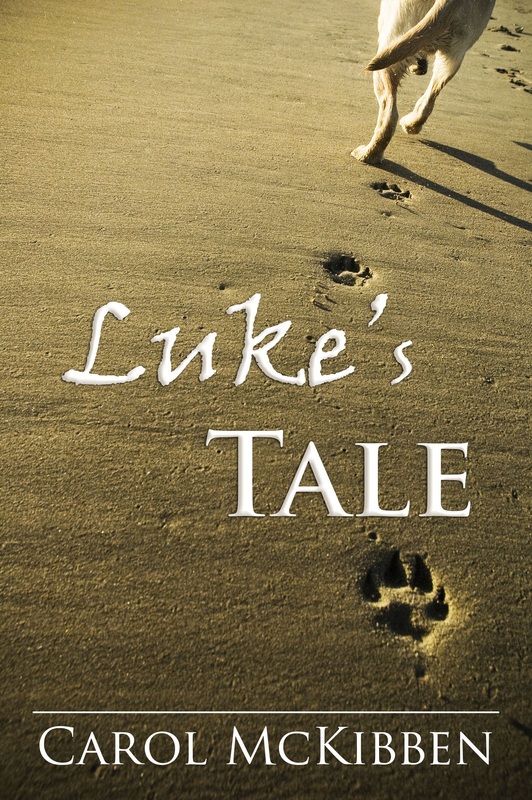 Luke’s Tale is available on amazon.com in both Kindle and print formats. Please visit www.carolmckibben.com and tell me what you think about unconditional love. “One touch of Nature,” wrote William Shakespeare, “makes the whole world kin.” Why then, is man’s coexistence with the diverse creatures great and small with whom he shares the planet such a fragile – and often destructive – relationship? In his first book, The Spirits of Birds, Bears, Butterflies and All Those Other Wild Creatures, author Dennie Williams offers his perspectives on environmental preservation, interspecies communications, and the need to recognize that we’re all in this together. Q: So tell us what your new book – and hopefully the first of many! – is all about. A: This is a book of true to life nature tales emphasizing animal and bird interaction and communications with humans. The tales start with a short poem about Chickadees and end with a poetic tour through the Costa Rican jungle. The book opens with a prologue relating how I became fascinated with animals and birds through family influences and experiences. Then, in an introduction, it explains the significance of interactions and spiritual communications among birds, animals and other creatures with humans. Finally, it starts with the first of sixteen true stories or descriptive chapters of interesting interaction among people and birds and animals. One of the critical issues facing the world today is the vital obligation to preserve and protect the environment. As a result of the momentum of destruction of nature world-wide, it will take generations, if ever, to repair all the damage. Hopefully the erosion, already generations old, will not continue at its present pace. But, whatever happens, children, teenagers and adults need to educate themselves as much as possible to the very soul of nature. This book and its short stories are a small and humble effort at catching the attention of as many readers as possible to the need to appreciate wildlife and the actuality that wild creatures can and do communicate their vital needs to people around them, even if they don’t listen or observe the many attempted interactive approaches to them by the non-human world. Once people, at as early an age as possible, become educated to the needs of wild life, the less destructive they will be toward nature during their lifetimes, and perhaps they will even become devoted to help the causes of all living beings including those humans other than themselves. If the skill to appreciate nature and interact with wild creatures is honed at an early age, it becomes almost impossible not to take up or support environmental protection causes as one grows older. Q: If there were a single quote in the book that summed up its takeaway value, what would it be? Q: And yet these practices not only continue to exist but also escalate. Are we sowing the seeds of our own destruction in our disregard for the planet and its non-human inhabitants? A: Even as I was writing this book, my own concern for wildlife has grown so much that sometimes I have a very hard time reading, watching or listening to its incredible destruction during wide spread forest fires, hurricanes, oil spills, munitions explosions in war and after war or every day pollution of the air by nuclear plants, factories or just plain exhaust from hundreds of cars I pass by with my own car every week. And, yet for all of my working life I was a news reporter writing hundreds of stories of environmental disasters including investigative human health tales involving the wars in Iraq and Afghanistan. The environmental decimation of those wars, particularly from radiation dust caused by depleted uranium munitions, will impact on nature, wild creatures and humans in the Middle East for untold numbers of years. Radiation is hard if not impossible to eradicate and some say its hazards can last billions of years. And yet it seems news reports about its repercussions as well as the health effects of depleted uranium contamination and other huge environmental disasters focus on harm to people but not wild creatures, the earth or the oceans. Q: Is there any bright spot we can draw to? A: The nature tales in this book look largely upon the positive side of the relationships among people and wild creatures. They are lively, poetic and funny stories all with a focus on interaction, not always friendly, among people and birds and animals. Some of them involve my own experiences at all ages. In order to put those stories and the book in perspective, I open up with my own family background, not as an ego trip, but to show how I very gradually became a kind of minor league nature fanatic. On the other hand, however, the first short story, “Blueberries, Butterflies and The Pig,” explains, how only at a late age, as a so called senior citizen, I finally realized there exists a spiritual, fascinating and inspiring interaction among humans and wild creatures, in this case butterflies, and people. Of course, that only occurs if the person already has a sensitive and regular appreciation of wild creatures. After some weeks of thinking about these butterfly experiences, it occurred to me that I and some close friends had a reservoir of experiences interacting with birds and animals. Just as inspiring still was doing some extensive research on communications among humans and wild creatures and discovering it was not just my imagination. My thinking wasn’t craziness, it related to the real world! That research is part of the introduction to the short stories and is necessary to create credibility with the reader. Q: So what inspired you to roll up your sleeves and put pen to paper…or fingers to the keyboard? A: I was picking blueberries one beautiful, sunny day in a patch 10 or 12 miles from home, when a butterfly suddenly landed on my out stretched hand. I began showing it first to my wife then to several other pickers before I saw two young children, a boy and a girl, just outside the patch laughing and rolling down a grassy hill. Loudly, I asked them if they would like to see my pet butterfly and warned the boy to stop running toward me, as his curiosity overwhelmed him. He rushed on next to me and scared the butterfly 30 or 40 feet into the air. So I walked carefully over to the blueberry selling shack and asked the sales lady if she could see my butterfly. She confirmed its presence and quickly warned me that her two friendly dogs were approaching. Sure enough, one of them scared the butterfly up into the sky and away forever. Two days later, I was shocked when I remembered that about ten years earlier I had experienced another wild butterfly episode in Barnard, Vermont. There on a porch near a pond on a beautiful day, a local character took me by surprise and started telling me a wild tale. As he did, two white butterflies began flying just over his head with their flights matching the excitement of his tale. They did so until he finished and then quickly disappeared into the sky and over the pond. Q: Would we be right to assume that you’re an animal lover? Q: When do you recall first taking such an interest in creatures of the wild? A: I have followed the flights and eating habits of all sorts of birds on my feeders ever since I was a little boy. I loved seeing moose and bears in the forests of Canada and the Wild West. Q: Did you work from a formal outline or did you allow the content to just flow from consciousness once you started to write? A: In writing the book, I composed each story soon after it was told to me. Then I sent a copy to those being interviewed to make sure it was accurate. Then, I organized the investigation of the reality of interaction and communications among wild creatures and people. Next, I felt I needed to explain to the readers about my own life and family experiences as they related to my love of wild critters. Q: How much research was involved in pulling all of the elements together? A: My research on the Internet about interactions among people and all sorts of animals, birds and fish went on for months. Of particular help in proving the book’s thesis was the Internet’s YouTube which has dozens of videos showing wild creatures communicating and interacting with all sorts of people. Q: Was it your style to do all of the research first or to start writing and do the research as you went along? A: I did this research before I wrote the book to prove the existence of these extraordinary relationships among humans and the wild creatures of all sorts. Q: By profession, you’re an investigative reporter. How different are the experiences of investigative reporting and the nuts and bolts of being an author of a book? A: My investigative reporting for almost five decades was instrumental in writing the book because credibility, particularly involving this rare subject, is essential. Since the book involves short stories, the ability to write them was not that much different from checking out, interviewing and writing a news story. Q: Who do you see as the book’s target demographic? A: I believe the book is intriguing for most lovers of nature, but it is particularly inspiring for young adults because they need to learn that wild creatures can and do interact and communicate with people; and once they do, they may have more respect for preserving the environment, not only for themselves and other people, but for birds, bees, bears, butterflies and other beautiful wild critters. Q: What impact did the development and writing of this book have on your own life? Do you feel that you see things differently now than you did before? A: This nature book increased my appreciation of wild creatures tenfold because I had not the slightest idea that they had this people-inspiring capability to be so spiritual and friendly. As a result, I now often have trouble even thinking about swatting an annoying insect! Q: What is the most amazing interaction you have ever heard about between humans and wild creatures? A: I believe the most amazing interaction ever was the one shown on 60 Minutes in which Anderson Cooper followed “The Sharkman” into the ocean without being in a cage below South Africa and played a simple game of letting white sharks, the most dangerous of those creatures, bump them with their noses. After a couple of bumps, The Sharkman grabbed one of the shark’s fins and took a short ride. This is all on film! Q: Why is it important to realize that wild creatures indeed interact and communicate in their own manners with humans? A: As I hinted earlier, it is critical for humans to realize the communication skills of wild creatures because it makes them think that all environments need to be preserved, not only for us, but for animals, birds, fish and insects. Q: How did you go about proving to yourself and, ultimately, to your future readers that these dynamics are critical to understand? A: The content of the nature book itself deals with stories that prove this reality, and that is why I think the younger the reader, the better. So it was my investigation, leading up to the writing, that convinced me of the truth of what I was to compose. That probe is written into the book to convince others as well that these dynamics of nature are indeed critical to understand. Q: How can readers benefit the most from this realization and which ones might benefit most? A: If people begin to accept this inspiring reality, it means maybe we will have a remote chance of keeping the earth healthy and livable. Q: Spirituality is an overarching theme throughout the book. What is your own definition of this state of being? Do you believe it exists in the animal kingdom or is it an anthropomorphic trait we ascribe to them? A: Spirituality is the essence of keeping this thought forever in your mind and doing all you can possibly do to think of kindness and to think of helping others to include all living things including plants. And, indeed, spirituality is a reality for any living being desiring to communicate and preserve any other living being. Q: It’s often said that our dogs understand more of what we’re saying to them than we understand about what they’re trying to say to us. Do you believe this same disconnect exists in the “wild” world? A: There is no question that, like pet dogs, wild creatures frequently understand much more than people ever think they do. Although children with imaginations, sometimes know how pets and wild creatures communicate with them. Q: Can hunters truly say they’re concerned about survival of critters in the wild when they are, in fact, hunting them? A: Within the book, I describe the rather complicated ethical thoughts and actions good, competent and caring hunters have about killing animals and birds. American Indians taught some of them these lessons. We must remember that long ago, in order to survive, cavemen killed animals and hunted them, much as animals do to other creatures. During those times, however, it seemed from all the ancient tales that those ancient hunters only took down what they needed to survive. They didn’t go out and plant almost tamed pheasants in wooded areas, and then grab their shotguns to pursue the game they had just released. Q: Environmental change, habitat destruction and human intervention have collectively contributed to the extinction of countless animals since the dawn of mankind. An alarming number of these have been within the past century. What’s your reaction when you encounter such statistics and what do you think we should be doing about it? A: My reaction to this incredible destruction is partial disbelief that some people, many of them political leaders with powers to pass laws and enforce them, are incredibly egocentric, ignorant, thoughtless and cruel. Those leaders, aware of the potential disasters of the future, need to assemble in the United Nations or elsewhere, anywhere, and create a plan to stop the slow disintegration of our planet. Q: Now that you’ve written your first book, what do you know now about the world of publishing that you didn’t know when you first began? A: The writing, publishing and now the marketing of this nature book was indeed one of the toughest experiences of my life. Very, very few in the publishing business have any time at all to help a first-time author. Many agents and publishers don’t answer emails, phone calls or letters. For a first time author to get a book published and marketed they must be famous, infamous, rich or lucky beyond belief. A: My book plate of the future is empty and I would find it hard to believe I could ever create another one. But if the inspiration hits me hard enough, I will! It sure helps to have been an investigative reporter because the tasks involved with that job are often so difficult and nerve wracking that patience and determination are the only qualities allowing one to get all the tasks done. 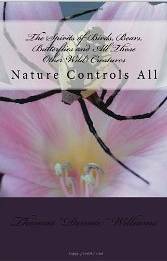 Readers can learn more about The Spirits of Birds, Bears, Butterflies and All Those Other Wild Creatures at http://birdscrittersbutterflies.webs.com/.